Home » .News » Patreon launched for AmberUnmasked & Vodka O’Clock Podcast! 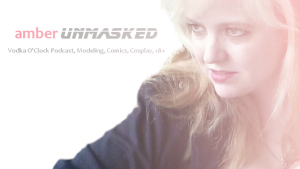 Patreon launched for AmberUnmasked & Vodka O’Clock Podcast! AmberUnmasked.com has been around since January 2010. Prior to that I wrote about comics and cosplay on other blogging platforms. I frequently guest hosted on other podcasts while doing my own YouTube videos, but then decided to reboot my media by dedicating recording to audio podcasts and thus, Vodka O’Clock was born three years ago. Now you can help contribute to keep the operations here running through PATREON, https://www.patreon.com/amberunmasked. WHAT THE HECK IS PATREON? PATREON is a crowdfunding platform that works basically like an online recurring tip jar. If you’re familiar with IndieGoGo, GoFundMe, and other “help me out” systems, Patreon works the same kind of way except that it’s perpetual rather than to fund one project at a time. PATREON is for people who are fans of the arts and programming. Imagine if you could pay $1 for each episode of your favorite show instead of buying into a huge complicated cable package with 298 channels you’ll never watch. Patreon gives you a way to show support for things you like to help people in the arts to keep going. I’m still learning about the way Patreon works on the administrative side. The model is currently set up for recurring payments only. If you’d like to back a creator only once, you would wait for your card to be charged around the first of month, then cancel the pledge. Questions about what it means to pledge can be found in the FAQs of the Patreon site under the “For Patrons” section. You can support for as little as $1 PER MONTH (new for 2016! Monthly pledges instead of Per Episode) per AmberUnmasked creation. What does that mean? It means that if four episodes of Vodka O’Clock are posted as “paid” creations, you would be charged $4; so, if only two episodes are posted, you would only be charged $2. You can set a maximum for how much you are willing to contribute to each creator in case someone updates a lot. If I post two scenes from a story and two episodes, that would be $4 if you are at the $1 level. The advantage to Patreon is that it’s able to be adjusted by the creator fluidly. If something doesn’t seem to be working, like the rewards, they can be changed at any time. The same goes for the creator’s milestone goals – I need to take things one step at a time so right now, earning enough to reimburse my webhosting is the primary goal. WILL VODKA O’CLOCK & AMBERUNMASKED STILL BE FREE? YES! Access to the show and the website are still free. Vodka O’Clock will still be available through the website, iTunes, and Stitcher. The difference is that Patreon Backers will get some information before everyone else. This Backer-Only/Backer-First content will include things like: finding out who upcoming guests are, preview peeks at the episode show notes which might be small blurbs or quotes from the show, opportunities to send in your questions for upcoming guests, previews of fiction that I’m working on before it gets released, and I’m even thinking about doing some readings of my chapters that would be Backer-First. Plus, $5 Backers get a copy of my ebook THIRTEEN LESSONS LEARNED ABOUT CAM GIRLS in either Kindle, .epub, or .pdf format. Becoming a Backer is a way of helping me and encouraging me to keep the site and the show going. There is a special reward tier for local convention organizers so that you can bring me to your show for a day to be on a panels or host one or two since I love interviewing people. Not everyone will be able to chip in financially and that’s totally understandable. I’m not able to back anyone right now through Patreon or any other crowdfunding campaign. I understand completely that it might not be something you can do. If you can help me share the links to the Patreon page, this site, and the show notes when they’re released, that’s always a great way to help out. To learn more about how another creator is using Patreon, I interviewed Thomas Boatwright recently about his experience as an artist. He explains the premise and how it’s helping him continue making art and live as a freelancer. 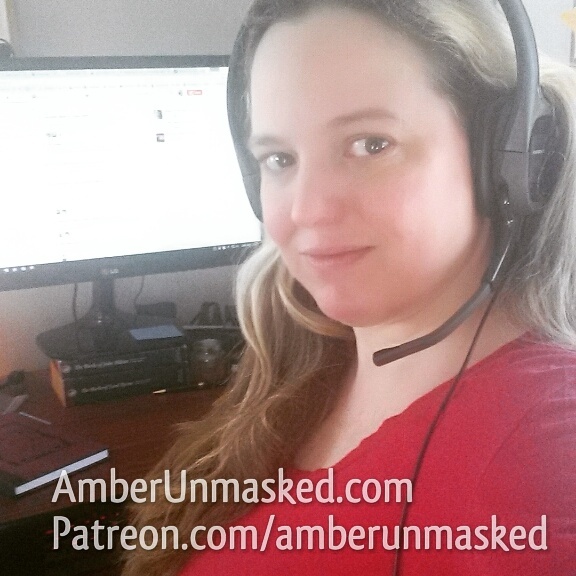 Comments Off on Patreon launched for AmberUnmasked & Vodka O’Clock Podcast!